Equinox jewelry designs are shaped by Pacific Northwest sensibilities. Guided by the perspectives and natural beauty of this region, we are also inspired by conversations with our clients which inform our work. At Equinox, our goal is to create wearable jewelry with design integrity. Some projects take their direction from a special gemstone, some are designed to express an idea, or commemorate a significant life passage. The man’s wedding band shown above was designed to complement his fiancee’s engagement ring. Shown above is a sketch made by the client which defined the overlapping pattern and the diagonal direction of the leaf elements. This pattern was overlaid on a slightly domed 6mm band.  The above project was a necklace and matching earrings commemorating a 50th anniversary gift. The client brought a well developed drawing and together we determined the scale, contour and how the pendant would integrate with the chain. 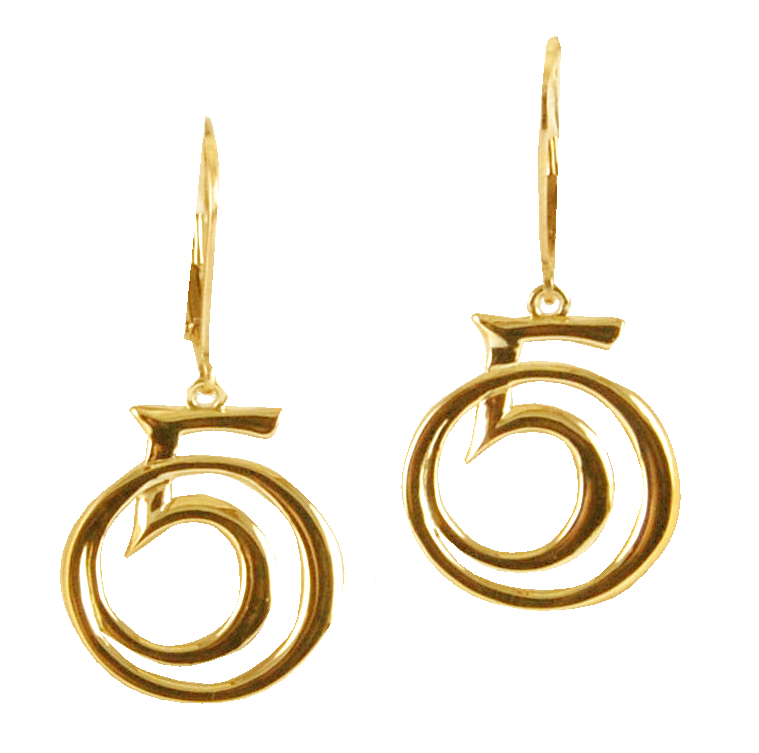 Matching earrings were made using a scaled down version of the stylized “50” motif. 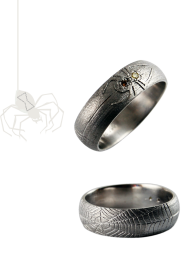 This is an engagement/wedding ring made for a woman who is a spider aficionado. Champagne colored diamonds are set in the body of the spider. 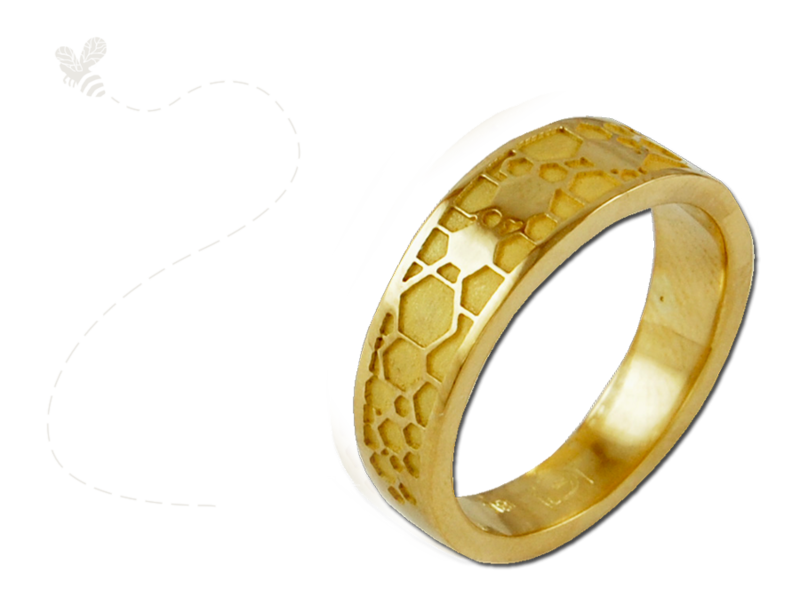 The wedding band on the right was inspired by the hexagonal shapes found in honeycomb. The wedding ring below takes its lines from the course of the Colorado River as it flows through the Grand Canyon. The diamond is positioned in at the bend in the river where the marriage proposal was made. We would be pleased to discuss your jewelry ideas with you. We invite you to call or email us with your ideas.